The Industrial Development Authorities (IDAs) of the County of Pima and the City of Tucson offer a Mortgage Credit Certificate (MCC) Program to help homebuyers finance their home purchase. Community Investment Corporation (CIC) is the program administrator and determines participant eligibility, issues certificates for qualified applicants, and performs program administration. An MCC is a tax credit that reduces your federal tax liability. You receive a tax credit for 40% (up to a maximum $2,000) of your annual mortgage interest payment each year for as long as you own and remain in the home purchased. *Target areas are economically distressed areas of the community where home ownership is highly encouraged in order to improve neighborhood conditions (as identified by specific census tracts). MCC program are determined by the US Census Bureau. For a list of target areas, including maps, please CLICK HERE. Application into the program is typically requested by your lender; however, you may also apply directly with CIC or Advantage Housing Services by completing the MCC application and by providing the required documents. Documents can be submitted via mail, fax, or in person. Upon receipt of your documents, CIC or Advantage Housing will contact you to set up an appointment to meet and process the application. If you’d like help completing the application, please call to schedule an appointment. The MCC Application must be notarized and we have a notary on staff. For more information on the MCC Program or if you have any questions, please contact Patty Gonzalez at (520) 529-1766 x205 or patty@cictucson.com. Se habla español. 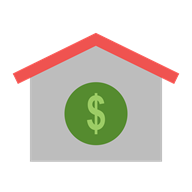 A Mortgage Credit Certificate may be combined with the PTHS down payment assistance and the HOME down payment assistance programs. Qualifying homebuyers receive between 2.5% and 5% down payment assistance. Qualifying homebuyers receive 3.5% down payment assistance. Congratulations to KBHS Home Loans! For the second year in a row, KBHS Home Loans is the top lending team for Mortgage Credit Certificates in Pima County!